Michael Avenatti arrested for felony domestic violence! Somewhere President Trump is smiling. 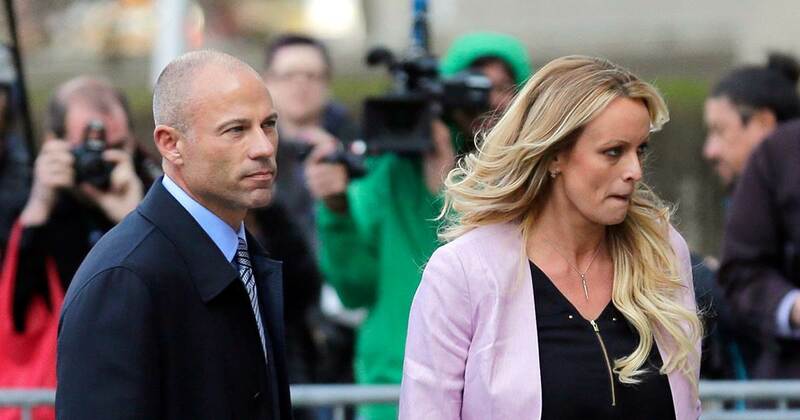 Michael Avenatti, well-known Trump-hater and attorney for professional whore Stormy Daniels, whose lawsuit against the president was kicked out of court with a judge ordering her to pay President Trump’s legal fees of $341,000, has problems of his own. BIG problems! Felony problems! With her face battered and bruised, Avenatti’s wife told police that he had beaten her on Tuesday, and apparently very badly. We’re told security brought her inside the building, took her upstairs and Michael showed up 5 minutes later, and ran into the building. He screamed repeatedly, ‘She hit me first.’ We’re told he angrily added, ‘This is bulls***, this is f***ing bulls***.’ We’re told he tried getting into the elevator but security denied him access. Cops showed up and escorted Avenatti into a corner of the apartment lobby and spoke with him for 5 to 10 minutes, and then took him into custody,” where he remains Wednesday night, according to reports.